"There are some children that it can be said of, "They have a face that only a mother can love." Hail, Caesar! is a film that only the truly devout Coen fans can love." The Coen Brothers have delivered many cinematic classic in their illustrious careers and they have also been known for convoluted tripe. Which category will Hail, Caesar! fall into? These talented siblings have become a cottage film industry in Hollywood. They have delivered Academy Award winning films, great comedies, compelling dramas and cult classics that have helped to establish them as some of the greatest filmmakers in cinematic history. For those who may not be familiar with these talented siblings, an enviable list of their films include Fargo, No Country for Old Men, True Grit, O, Brother Where Art Thou and The Big Lebowski. Due to their track record, Joel and Ethan Coen get to choose from the cream of the crop for acting talent and they get to direct and produce whatever they desire. Hail Caesar! is their satirical view of the culture of Hollywood in the height of the 1950's biblical epics. It follows the life of Eddie Mannix (Josh Brolin), a fixer for Capital Films, which means he is the man behind the scenes who cares for the reputation of the stars and the studio. He controls most of the intricate details of the studio. He manages the religious groups who help to advise the content of films, misdirects the gossip columnists and tries to maintain the public reputations of it's biggest stars. When one of the studio's stars, Baird Whitlock (George Clooney) disappears, Eddie must find a way to keep this disappearance confidential while the rest of the studio's problems attempt to push him to the point of looking for a new career. Within the confusion and misguided storylines there were some gems to be considered. Josh Brolin manages to hold his own with a multitude of who's-who in Hollywood. Eddie Mannix is a complex character that shows the tough exterior and soft touch that is needed to carry the studio and ultimately, the film. Channing Tatum continues to prove that he is multifaceted talent. He does not do much acting, but his primary song and dance sequence truly honours the musicals of the past. 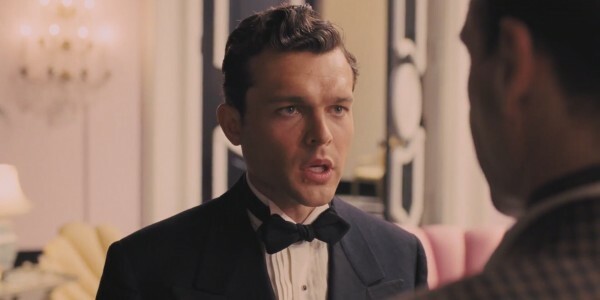 George Clooney, Jonah Hill and a multitude of other characters seem to be wasted in throw away roles, but within this plethora of star power the true stand out performance belongs to a relative newcomer, Alden Ehrenreich. The Coen's provide this young actor with the most endearing and rich character in the cowboy turned dramatic actor, Hobie Doyle. His role and performance prove to be one of the year's best. Ehrenreich's verbal sound stage interchange with Ralph Fiennes is worth the price of admission or an extended view within the original trailer. 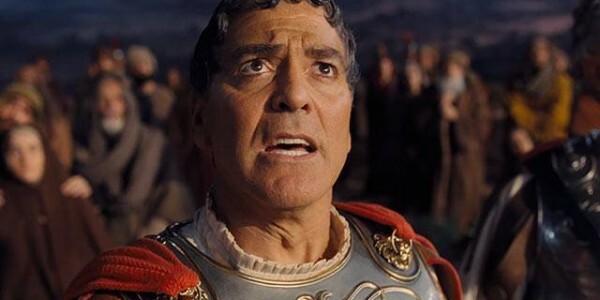 To wrap up this commentary, what can be said about Hail, Caesar? It is a mess. A convoluted mix of decent performances that did not amount to much. It will provide Coen fans with something to quote for the coming years and film classes a film pick apart for years to come, but for most viewers the goal will be to get their money back.